The Sunflower Foundation was in search of the perfect venue to hold their Board of Trustees meeting. They needed a spacious location with all the necessary conference amenities. 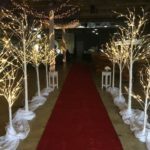 One glance at The Bottle House’s large indoor venue and they knew they found the right spot! This was their first meeting outside of Topeka, making it that much more exciting. Our team was ready to show them the best that Ottawa had to offer! 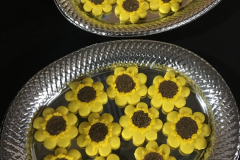 As the venue of choice for a number of annual meetings and gatherings, we understand that a thoughtfully designed setup can spark creativity. 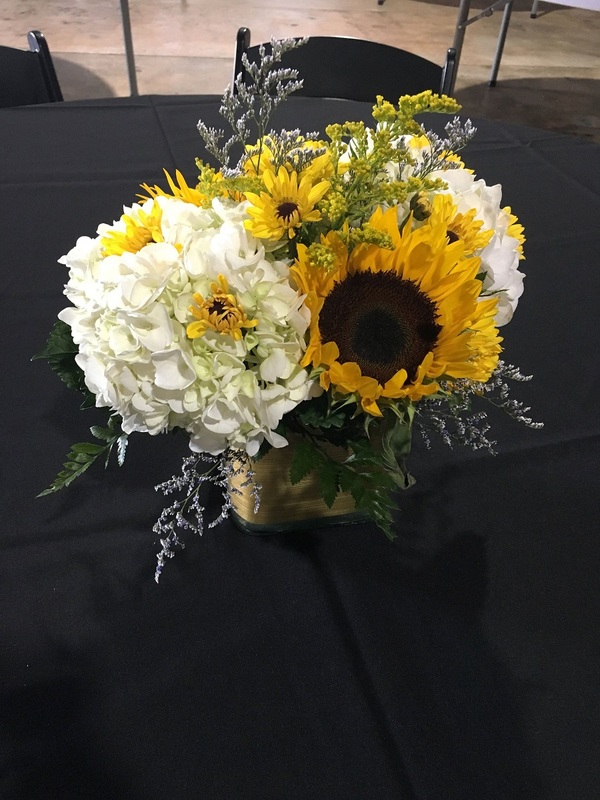 With that in mind, the members of the Board of Trustees were greeted to a beautifully decorated venue with staple centerpieces of sunflowers and white hydrangeas, courtesy of our friends at Turner’s flowers. To start off the morning meeting on the right foot, they were treated to an appetizing breakfast buffet by Costentino’s. With our state-of-the-art sound system and projectors, no one missed a beat during the morning session. Once lunch rolled around, our team laid out a delicious buffet thanks to our friends from Luigi’s Italian. 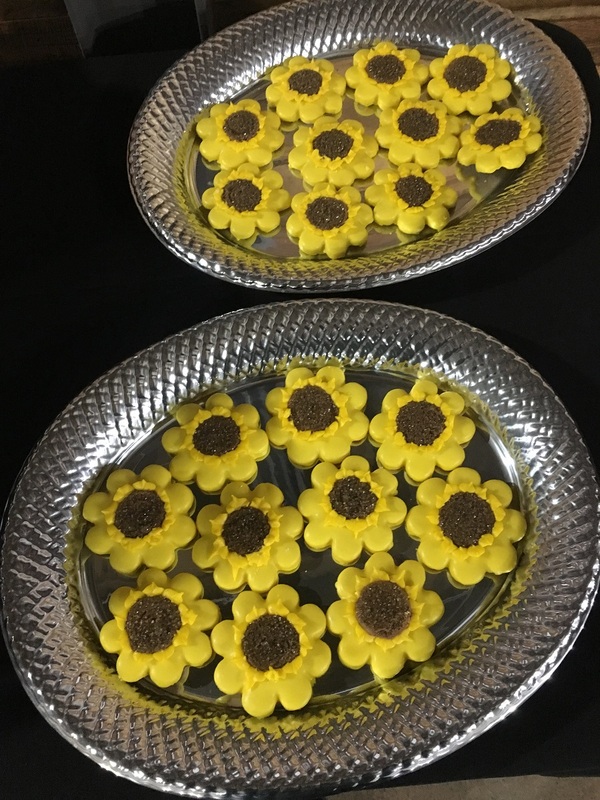 To top it off, Annette’s Cookies, Cakes & More provided sugar cookies in the shape of sunflowers – the members loved that little touch! After lunch, everyone ventured out on golf carts to visit the Flint Hill Trails. 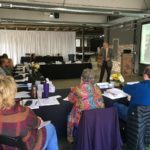 The Sunflower Foundation wanted to learn more about the community’s work on trail development, and this historic trail was just a short drive away from The Bottle House. The meeting truly ended on a high note! 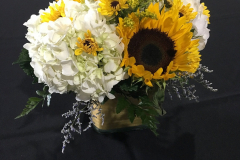 Thanks to Sunflower Foundation for choosing us for your first meeting outside of Topeka. We look forward to hosting your future gatherings! 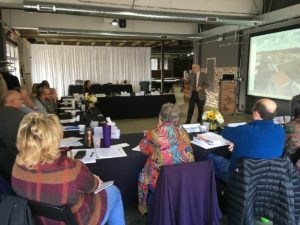 Click here to start planning your next company meeting at The Bottle House.